The US Vice President held on Sunday a telephone conversation with Ukrainian Prime Minister Arseniy Yatsenyuk and thanked him for his activity during his term in office. WASHINGTON (Sputnik) – US Vice President Joe Biden held on Sunday a telephone conversation with Ukrainian Prime Minister Arseniy Yatsenyuk, who announced his resignation earlier in the day, and thanked him for his activity during his term in office. "The Vice President thanked Prime Minister Yatsenyuk for his partnership during a historic time for Ukraine. He congratulated the government of Ukraine on its accomplishments over the past two years, in particular on the strides it has made on difficult but necessary economic reforms, the signature of the European Union association agreement, and the work it has done to increase energy independence," the readout of US Vice President Biden’s call said. The US politician also commended Yatsenyuk "for his tireless efforts on behalf of Ukraine and his intention to remain engaged in the process of pursuing these and other reforms needed to ensure the stability, prosperity, and territorial integrity of Ukraine," the readout continued. On February 15, the parliamentary faction aligned with President Petro Poroshenko described the cabinet’s work in 2015 as unsatisfactory. 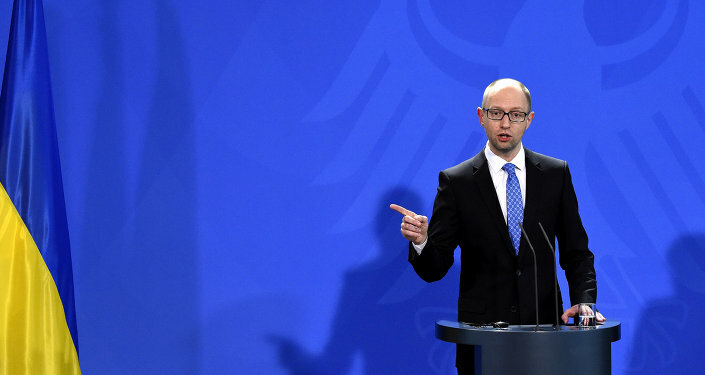 The following day, Yatsenyuk’s government survived a no-confidence vote, pushing various factions to leave the parliamentary coalition.